An audience always prefers a relaxed, poised, speaker rather than a panic – stricken one. Even if you are a bit nervous, don’t show it. Maintain your composure by inhaling deeply, holding your breath and exhaling slowly. Show your audience, who is holding the floor and deserves full attention? Very often, speakers are guilty of making the slides the star of the presentation, or the handouts or the flip-chart board – escaping to these options to avoid the audience. The slides, the board, the written material – they are just props. You are the main act. Movement should have a purpose. You should not walk up and down, unless it has a meaning and a reason. Unnecessary hand – gestures or mannerisms should be avoided. Ripples Learning may help you in improving your body language through its behavioral corporate training programs. 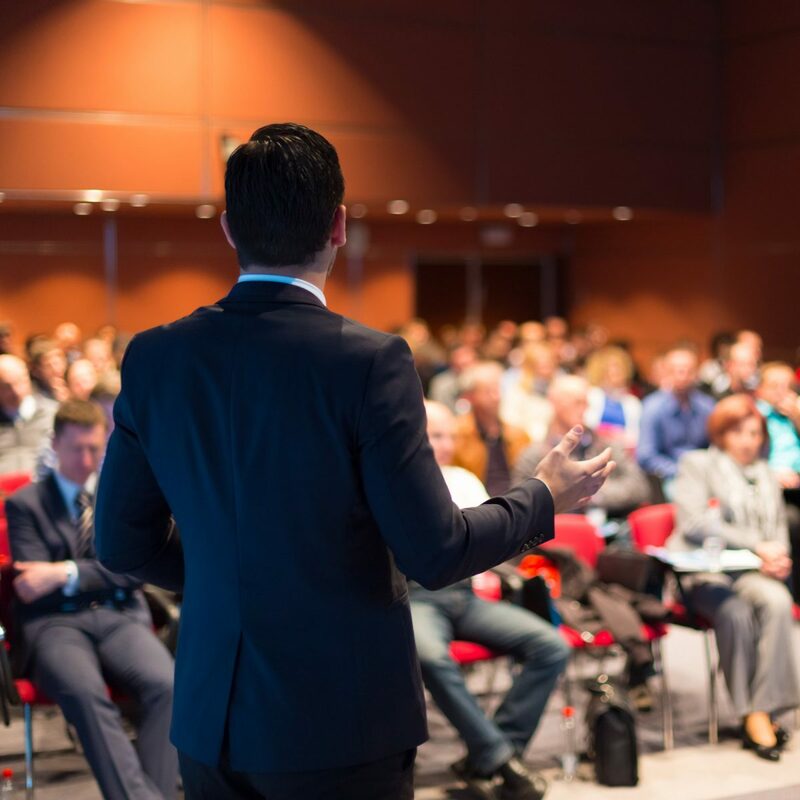 A powerful speech must be thought out before hand, please refer to my earlier blog “6 Public Speaking Tips You Need To Learn Now“ for more details, regarding “what to say “and how to arrange it. Our corporate training programs on 'Presentation Skills' and 'Public Speaking' help you prepare for the same. Don’t crowd your speech with multiple points, micro-technicalities and too much of details. A productive speech consists of up to 4 main points at the most, leading to one main conclusion. It should be such that people are able to grasp it. Always try to be spontaneous. You should give your speech in such a manner as you are talking to your friends. Be observant of people attending and their immediate experience and concerns. Can you connect it to your topic? Project your voice so that you are heard clearly. It wouldn't matter if you gave the best and wittiest speech in the world, if nobody could hear it.Use vocal variety to draw your audience in. For example: excited speech imparts a sense of urgency, while pausing well prepares the audience for an upcoming revelation. You can also choose your base-voice (the speech-making 'normal' volume, tone, pitch, speed etc.) for making speeches. It is advisable to adopt a voice technique, suitable to your speech – content and personality. The best way to make your audience happy is to finish on time and help them keep their schedules. Incredibly hard for speakers, but equally important for the audience. Finishing on time also shows that you are in control – that you haven't left out important information and there is no panic rush to finish it in the last minute.